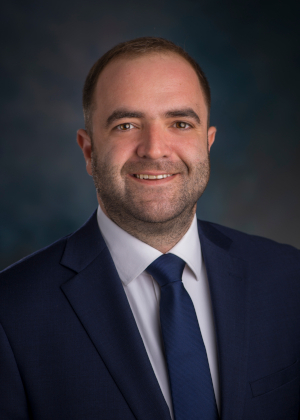 Nikola Tasić holds MA and PhD in economics from Andrew Young School of Policy Studies, Georgia State University and BS in economics from San José State University. Currently, Dr. Tasić started up Singidunum Dynamics DOO in Belgrade, Serbia, with the idea to deeper penetrate international ctrypto market and data science, while still maintaining strong customer base and attracting local excellence in engineering, statistics, and economics. Prior to starting his own IT/data science company, Nikola worked as the CTO at the Marcelco Group AG in Zurich, Switzerland and as the research associate at the Governance Monitoring Association. Dr. Tasić has worked as the Associate Professor at the Faculty of Business Economics and Entrepreneurship, as the advisor to the Governor at the National Bank of Serbia, as the head of forecasting and macroeconomic modeling at ekonomija.org, as the assistant professor at the Faculty of State Administration—Belgrade, and as the visiting professor at the Facutly of International Economics, Belgrade, Serbia. Prior to that, he has worked as the senior economist at the National Bank of Serbia and as the research associate in the Fiscal Research Center, Atlanta, Georgia, USA, where he was also teaching numerous courses. Dr. Tasić also has experience as the consultant in the private sector. He has published in the Journal of Comparative Economics, Eastern European Economics, Industry, and numerous local journals. He is a member of The Econometric Society and The Association for the Study of Eastern European Economies and Cultures. His research interests in economics are international finance, monetary economics, and applied econometrics, but today he spends most time researching new technologies. Mostly, it is in the area of cryptography, including blockchain, and applying newest econometric techniques to AI processes. Download full vita. On the current web page you can find a list of all my academic publications and latest working papers with links to web pages, PDF, and Stata data files. If you have any questions or comments regarding the research or data presented here, please email them to nikola@tasic.net. You can also download a copy of my PhD dissertation . Fear of Commitment: Weak Institutions, Volatile Economy, and the Prevalence of Short-Term International Capital (with Vladimir Ristanović), latest revision April 2018, under review at Eastern European Economics. Pass-Through of the Foreign Exchange Rate to Inflation in Serbia in the Very Long-Run: 1883-2018, work in progress. Determinants of International Bank Lending, work in progress. Interest Rate Transmission in Serbia (with Milan Aleksić), latest revision September 2014. Determinants of the Exchange Rate in a Small Open Economy under Different Exchange Rate Regimes: Serbian Dinar during Previous Three Decades, latest revision September 2014. Domestic Banks, International Banks, and Growth: Panel Evidence from 172 Countries, latest revision May 2014. The Determinants of Long-Term Credit across Countries, (with Neven Valev) under review, latest revision December 2013. Banks and Endogenous Growth: A Closer Look at the Liquidity Transformation and the Cost of Banking, latest revision July 2013. Political Determination of Intergovernmental Transfers: Evidence from a Transition Country, revise and resubmit at the European Journal of Comparative Economics, latest revision September 2006. Let’s Tax the Monopoly,” latest revision August 2006. Determinants of Economic Growth in the Pre-Crisis Period (with Vladimir Ristanović and Ivan Nikolić), Industry, in print. Exchange Rate Pass-Through on Prices in Serbia in the Post-Crisis Period (with Vladimir Ristanović), Industry, Jun 2018, 46 (2): 117-129. Interest Rate Pass-Through in Serbia: An Asymmetric Treshold Cointegration Analysis (with Siniša Miletić), Proceedings from Employment, Education, and Entrepreneurship conference (Investment Policies, Industrial development, and Economic Growth), October 2015: 240-251. The provision of long-term financing in the transition economies (with Neven Valev), Journal of Comparative Economics, June 2010, 38 (2): 160-172. Published version; Working paper; Data. Food Price Convergence and Trade in the Balkans, Eastern European Economics, March-April 2007, 45(2): 6-22. Dinar, Balkanico or Euro: A VAR Analysis of Optimum Currency Area (with Vladimir Vučković), Proceedings: 7th International Scientific Conference Dealing with the Global Economic Crisis by Companies and Economies, November 2009: 345-356. Maturity Structure of Cross-Border Sources of Finance in Transition Countries (with Vladimir Vučković), Poslovna politika, 2009, 38 (5-6): 17-20. The adjustment of Serbian prices: The effects of import prices and exchange rate, Tržište, novac, kapital, 2009, 42 (3): 67-77. Monetary Integration in the Region: Mission Impossible and/or Mission Undesirable? (with Vladimir Vučković), Izazovi evropskih integracija, July 2009, 6: 4-12. Monetary Policy and Economic Recovery (with Miroslav Zdravković and Boško Živković), book chapter in Banks, Capital Markets, Insurance and Leasing Companies in Serbia, Economist: Belgrade, 2009. Perspectives of monetary cooperation in Southeast Europe: Common currency, fixed exchange rate or status quo (with Vladimir Vučković), Tržište, novac, kapital, 2009, 42 (2): 31-43. Long-run Exchange Rate Sensitivity of Serbian Exports and Imports (with Miroslav Zdravković), Makroekonomske Analize i Trendovi, 2008. Interest Rate Transmission in a Dollarized Economy: the Case of Serbia (with Milan Aleksić, Ljiljana Djurdjević, and Mirjana Palić), National Bank of Serbia Working Paper 15, ISBN: 978-86-85277-11-5, September 2008. Efficiency of Reserve Requirements as a Monetary Policy Instrument (with Mirjana Palić), Bankarstvo, 2008, 37(7-8): 28-41. Consumption Dynamics in Serbia: What Causes and What Reduces Poverty? (with Milan Aleksić), February 2009. Revenue Sources of State and Local Governments, Fiscal Research Center Report 165, September 2007. Economic Impact of the Commercial Music Industry in Atlanta and the State of Georgia: New Estimates (with Sally Wallace), Fiscal Research Center Report 159, August 2007. Forecasting Pre-K Enrollment in Georgia Counties (with Sally Wallace), Fiscal Research Center Report 152, April 2007.